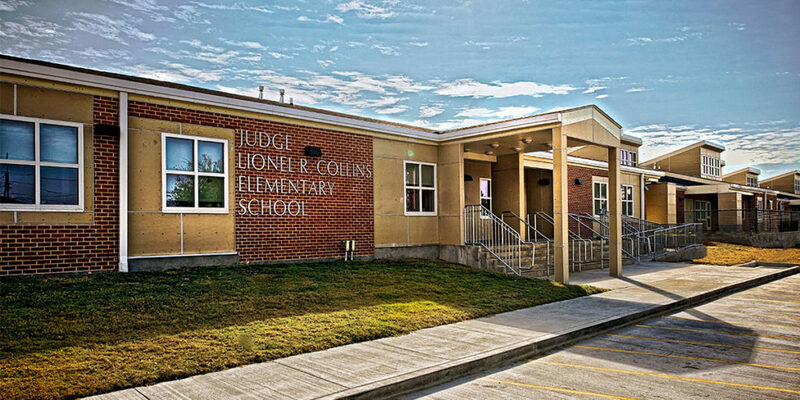 The $13 Million Judge Lionel R. Collins Elementary School Major Replacement and Renovation project included both renovations and additions to a historic Westbank school. 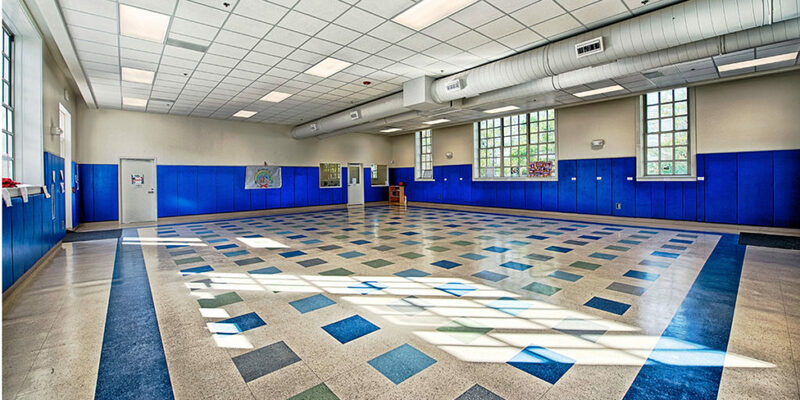 The renovation of the late 1920’s, original one-story 11,700 SF existing brick school building, formerly Ames Elementary School, yielded four multipurpose classrooms, two special education classrooms, one computer lab, and one Physical Education classroom. 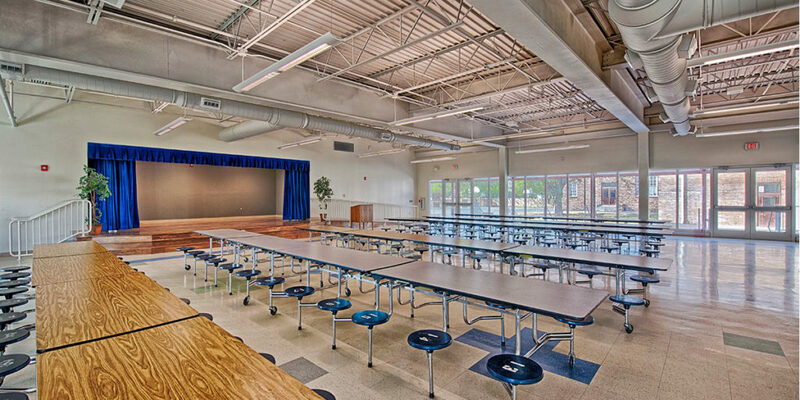 The renovation also provided a new Media center, a new kitchen and new Cafeteria/Auditorium that can accommodate 300 people in an auditorium setting. To enhance student safety, the school bus delivery and departure area functions are separated from pedestrian and automobile traffic. A new bus canopy was constructed in front of the original building. 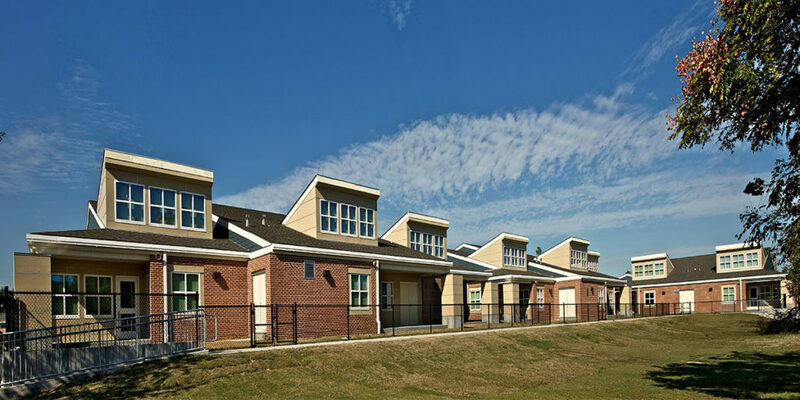 Also included was the 48,660 SF addition of a new Administration building and three classroom pods designed to respect the scale of the surrounding Marrero residential neighborhood. 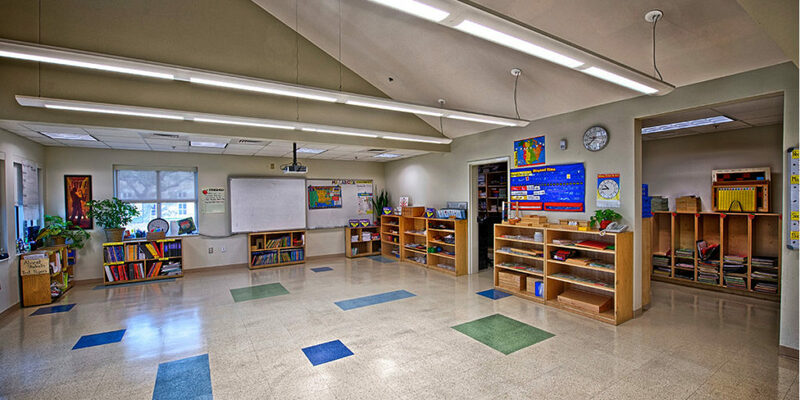 The design provides 14 classrooms designed to support principles of Montessori teaching. 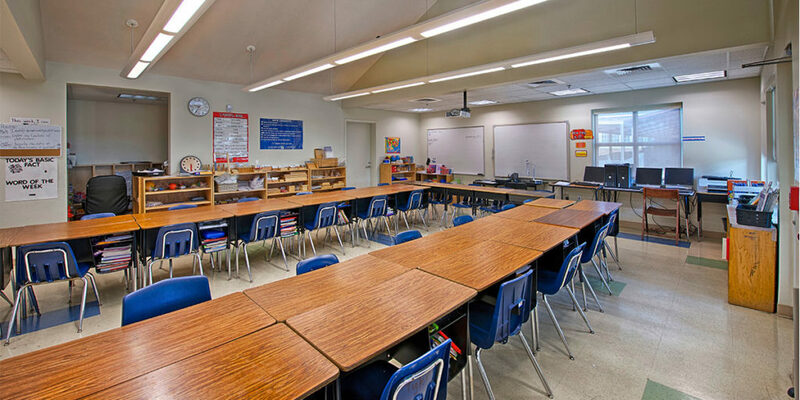 Each classroom is provided with a Smart Board and an adjacent yard to supplement Montessori teaching methods. The school’s main entrance was relocated to Ames Boulevard, with site improvements providing common lawn and physical education spaces. VergesRome Architects delivered the project in Joint Venture with Imre Hegedus & Associated Architects.